2 x Breathing Monitor, with 85Db Alarm at 1m. The Babysense 2 enables parents to sleep peacefully and protect your baby with this Infant Respiratory and Sound Monitor Package. Babysense 2 is intended for use as an Infant Apnoea Alarm. Babysense is the ONLY true EARLY WARNING System available on the market that alerts you when the breathing rate lowers under 10 breaths per minute. This provides you with an early alert before it’s too late so that you have time to take action. Movement monitors only let you know after the baby stops breathing. 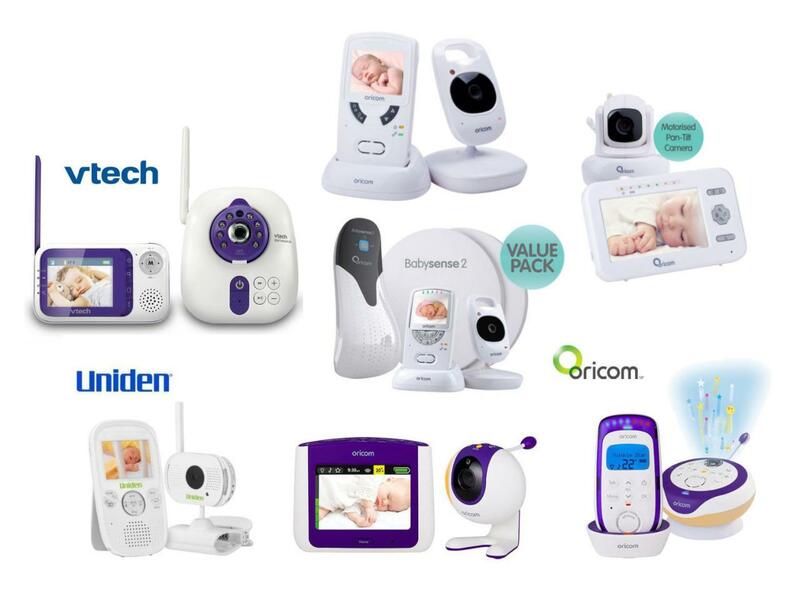 The BabySense 2 is a registered medical device in Australia which means that depending on your health insurance policy, you may be able to claim part or all the cost in your insurance. BabySense 2 is a very intelligent device that watches baby’s movements and breathing in the mattress while they sleep. It is an intelligent baby monitor which will help parents to “keep an eye” on baby and allow intervention in very dangerous situations. BabySense 2 is a safety measure which when combined with “Safe Sleeping” techniques (resting on the back, not overheating of baby’s room, not smoking around the baby), offers safety and peace of mind. It signals if baby halts breathing while asleep. It is ideal for infants up to one year of age. * No contact with baby. * It runs using regular houshold batteries for safety. * It has a compact, user friendly design and Easy to use. Babysense alerts you with the alarm if baby’s breathing becomes abnormally slow or if breathing and motion halt. These might be signs and symptoms of Central Apnea, that is one among the causes of Infant Crib Death (S.I.D.S). Babysense may also notify when these types of signs suggest a cold, high fever, or any other sickness. Babysense2 is included as a medical device on the Australian Register of Therapeutic Goods (ARTG No. 97479). How It Operates: BABYSENSE 2 consists of two sensor sections that fit securely underneath the mattress. No part of the device ever comes in immediate contact with the child. The sensors are attached to a little battery powered control unit which may be attached to the side of the baby’s cot or bassinet, or positioned on a close flat work surface. Be cautious about other monitors which feature large sensors which may not fit right into a bassinet. A low battery indicator lights up as well as an clear click is heard whenever battery power requires replacing. BABYSENSE 2 continually monitors your baby’s breathing movements. Each breath brings about a green light to flash. When the baby halts breathing movements for longer than 20 seconds or when the breath rate lowers below 10 breaths per minute, a loud alarm is sounded. 1 Babysense 2 Breathing Monitor, with 85Db Alarm at 1m.